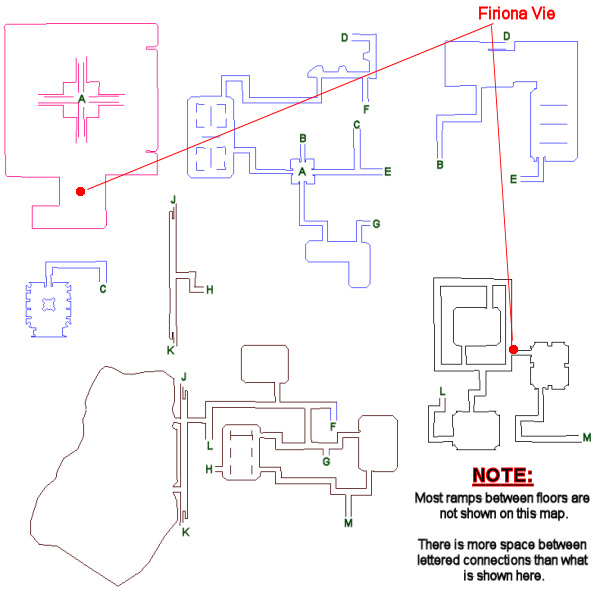 This group mission begins with Firiona Vie (click for map image) in Arx Mentis, located at the zone-in. Say "rescue" to request the task and "go" to zone in. You have been assigned the task 'All Rivers Lead to the Sea'. Lanys and Calix are holding Firiona's friends in the citadel, torturing and experimenting upon them. Firiona is leading the charge to save them from their fates. This is a fairly straightforward task. Hail, follow the Quest NPCs, kill mobs to rescue an NPC, repeat until finished. These mobs are splittable from each other and mezzable. They each hit for a max ~22,000. The plated constructs in particular have a lot of hitpoints. As you near the teleporter room, a guttural roar rips through the hallways, accompanied by the clash of steel. These three mobs are aggro-linked and immune to all forms of crowd control. They each hit less than standard mobs for the zone (about a max ~10,000), but have a lot of hitpoints. Thubr Axebringer's eyes are clear. He is breathing hard. 'It's nearly gone... the sin, the mistake, the flesh that brought me misery on that night...' Thubr holds up his right arm. His hand is maimed and covered in blood. You hear a shout from the corner of the corridor, and you find Lyirae struggling to defend herself against a massive lizard. This mob is leashed to its spawn point and sees through invisibility. It hits for a max ~23,000; summons from 100% health; single-target rampages; and casts the 35' range PBAE "Flesh Rip" (57,000 unmitigated damage). If pulled from its spawn point, it warps back, drops all aggro, and strips its debuffs. Once you enter the basement, you won't be able to exit it. These mobs have low aggro and assist ranges (you can pull each of them single, except for a pair in the back of the room). Each hits for a max ~20,000; is mezzable; and casts "Thick Ice" (single-target stun + nuke for 40,000 dmg). Ognit Eznertob hastily casts a spell of warmth. The ice begins to melt, and Dagda's wounds start to bleed afresh. Dabner Drednever begins casting the most powerful healing spells he can remember, but Dagda's wounds remain. Ognit Eznertob kneels on the other side of Dagda and tries applying pressure to her wounds. Lyirae and Firiona tend to Dagda's leg, but the dying flesh is cold to the touch. Dagda Icefury's eyes struggle open. 'I... always wanted to die with a sword in my hand. But... now I have found something better... to die with my family's hands in mine...' Dagda closes her eyes. Dabner Drednever's tears stream down his face. 'Dagda! Dagda...' He and Ognit continue holding Dagda's hands, even after her hands no longer hold theirs. Be ready for a fight. Holmein the Hated appears at its location and immediately aggro's. Holmein the Hated has been slain by _____! Holmein the Hated hits for a max ~24,000 and AE rampages. Every 25 seconds, he casts the spell "Tainted Blood" on a random target (targeted 15' range AE for 75,000 dmg + DOT for 8,333/tick). Every 25 seconds, he casts "Open Wound" on a random target (nuke for 61,000 dmg + debuff that increase "Tainted Blood" nuke to 105,000 dmg). Hail her until the task completes. A chest with loot also spawns at this time. The task is repeatable with a 6-hour lockout timer from the time of request. Yeah, I'm on FV so my group's gear is pretty good. But I think level is the biggest factor. None of these fights were tough, and I skipped most of the advise generously offered here, such as enchanter spellshields and "dotshields." Damage taken was heavily mitigated. I was concerned after reading these posts initially since a 105k nuke is almost insta-kill. Never happened. A backup healer casting an occasional group heal was all that was needed. Even with the final fight we probably could have even avoided group heals but if we had the group would have finished the fight nearly out of HPs. But certainly no frantic rush to heal casters... damage taken was never more than 20-25%. The hardest fight, for a boxer at least, was the one with the 3 guards. We killed one of the guards but then the cleric got agro from one of the surviving pair, tank died and evac ensued. Ultimately, I would almost recommend this as a strategy for this fight. No respawns, so pull 3, focus and burn down 1, evac, rinse and repeat. Since they can't be mezzed or rooted, this is the only available form of "crowd control." Got the mage earring and a greater briny essence and one piece of highwater. Unfortunately, this instance does not appear to provide collectibles. XP was solid for in-zone kills. The three guards CAN be crowd controlled. We were able to mez vindex and sicarius mods (did not try the medicus). We were also able to snare/root the vindex and medicus, although the sicarius gave the cannot be rooted/snared message. Once we realized this the fight was extremely easy. Dropped a Greater Briny Essence today. - Real Tank/Warrior: can hold aggro but damage output is very serious. - that one is really nasty but easy with mage pet, as long as you stay out of range and let the pets and the caster mercs do their job. I recommend a AE-patchhealer if the toons are critical on Hitpoints and regular spamming the enc spellshield (Legion - Enchanter spell shield for Nukes - there are one for DoTs too) for the pets, if the toons have the bigger one (Shield of Consequence-row) then now it is very important (like in every fight with BIG NUKES). If you come close to Lyirae then the Atrox will jump you. - for pet classes and lower levels than 104: expect that the cryo operari mezz/stun your pets and go after the caster mercs fast. Be far away and send casters not from the beginning with Auto Assist, use Call assist. Everything is single pullable except the exact two from the opposite side of the entrance. This bad boy nukes he hell out of the tank. The same strat for Atrox runs also for Holmein. Only take very much care about the nukes and patch-heal properly. Spamming Kildrukaun/Host in the shell and others while the Spells Shieldstone Stance/Auspice are out of order is very recommended. Also adding to Legion of Lucem (Nuke Spell Shield) the Legion of Indagator (DoT Spell Shield) while the caster use instead of Lucem the "Shield of Consequence" helps very much! Nukes are absolute no problem except if you nuke a bit too much then you get the full load of his two spells. Enchanter forgot to renew the two Legion spells in midfight and the druid got a nuke-combo that dragged him to the 10%-limit - he has about 100k buffed. One healer merc can heal easily the mage air pet (lvl 99 with lvl 103 pet toys) as long as the Aegis/Auspice/Shieldstone is regularly spammed. If you leave that then you have a nice time patch heal the pet. 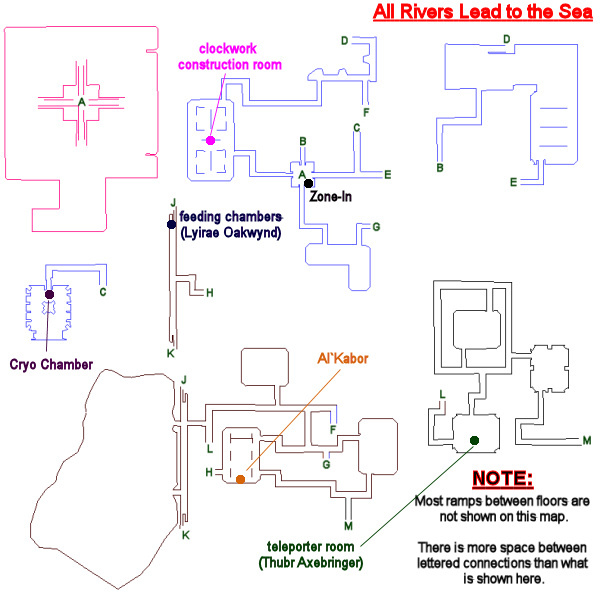 Perhaps a note for Holmein: he spawns right at the place of the Unheard/Unseen guy, so locate your crew in the back while Firiona and her guys fighting at this place and only spawn him by hailing the Unseen guy.